Nationals of other countries require permission to enter and/or stay in Jersey. This is known as “leave to enter” or “leave to remain” and is granted to those who qualify under the Immigration Rules. 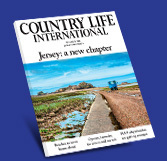 For further information about immigration to Jersey, please click here. Or contact the States of Jersey’s Immigration Department, immigration@gov.je or Tel: +44 1534 447979. It is also possible to live in Jersey if you are granted an essential employment work permit. Under the new Control of Housing and Work Law which came into effect on 1st July 2013, essential employees (formerly known as J-Category residents) are now referred to as “Licensed Residents”. Essential employment work permits are granted to employers to allow them to recruit someone from outside of the island when they have not been able to recruit locally to fill a post. Essential employment permits are generally reserved for those with highly specialised skills. Click here for further information about where people may live in Jersey.